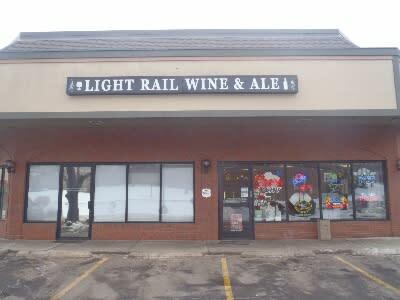 Light Rail Wine and Ale (formerly Lighthouse Liquors) has been located here in Golden, Colorado for about twenty years. In 2010 the Miller family purchased the store, and completely remodeled the store. With an updated selection Light Rail Wine and Ale is now proud to offer a wide variety of craft beers, estate wines, and spirits. They offer a large selection of local products and love to support our home state! Being a small, family run business, Light Rail Wine and Ale appreciate the value of a dollar so they strive to bring the community the best possible prices. Come in today and visit their friendly and knowledgeable staff. They will show patrons around their beautiful wine alcove and introduce customers to their famous craft beer "pick-six". Light Rail Wine and Ale offers the largest selection of chilled wine in all of Golden, Colorado. In addition, they devote nine cooler doors to craft and imported brews.